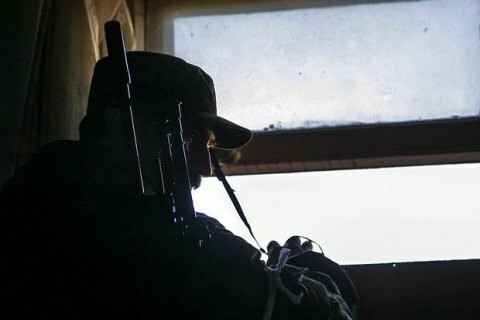 Russia-backed terrorists continue to use prohibited weapons. Over the past day, Donbas militants 21 times fired at the positions of Ukrainian troops in the zone of the antiterrorist operation in the region, continuing the use of weapons prohibited under the Minsk agreements, the ATO press center reported on Facebook. In the Mariupol direction, the enemy used 152 mm artillery to shell Maryinka while 120 mm and 82 mm mortars shelled Krasnohorivka and Shyrokyno. In the same areas, the terrorists fired grenade launchers and anti-aircraft installations. An enemy sniper was active opposite Maryinka. In the Luhansk sector, the enemy used mortars, rocket-propelled grenades and heavy machine guns, at Novooleksandrivka, Trekhizbenka, Kosharna, and Lopaskino. Krymske was under sniper fire. In the Donetsk sector, militants used mortars, grenade launchers, heavy machine guns firing at ATO positions near Avdiyivka and Luhanske. Novobahmutivka was shelled from 122 mm artillery. One Ukrainian soldier was wounded in Donbas hostilities on 13 November.